This year, we are lucky to have Joe Palca present as the keynote speaker, co-sponsored with the Bioethics Research Showcase! 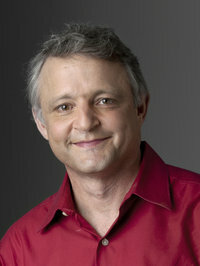 Joe Palca is a science correspondent for NPR. Since joining NPR in 1992, Palca has covered a range of science topics — everything from biomedical research to astronomy. He is currently focused on the eponymous series, “Joe’s Big Idea.” Stories in the series explore the minds and motivations of scientists and inventors. Palca began his journalism career in television in 1982, working as a health producer for the CBS affiliate in Washington, DC. In 1986, he left television for a seven-year stint as a print journalist, first as the Washington news editor for Nature, and then as a senior correspondent forScience Magazine.